Cletus, a very friendly 11-year-old dog, was found abandoned on a playground in Georgia, all alone except for his box of toys and an incredibly sad note. 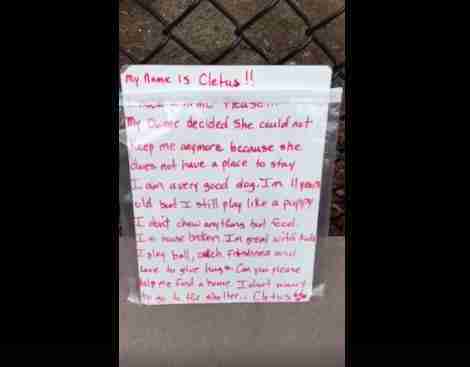 The note detailed how Cletus's owner was homeless, and no longer had the means to take care of him. "I'm a very good dog," the note said. "I'm 11 years old, but I still play like a puppy." 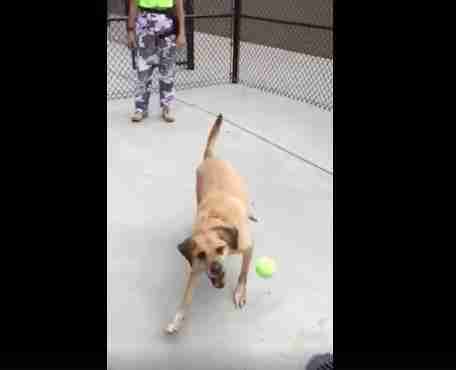 Cletus was taken in by the Gwinnett County Animal Control, and has already proved that for a senior dog, he still has plenty of years left in him. He loves to play fetch, and is overjoyed to meet anyone and everyone who comes his way. "I play ball, catch frisbees, and I love to give hugs," the note said. "Will you please give me a new home?" There were worries that because of Cletus's age, finding a new home might prove difficult - but this morning, not long after he was found, Cletus was adopted into his new forever family, the Gwinnett County Animal Control told The Dodo. 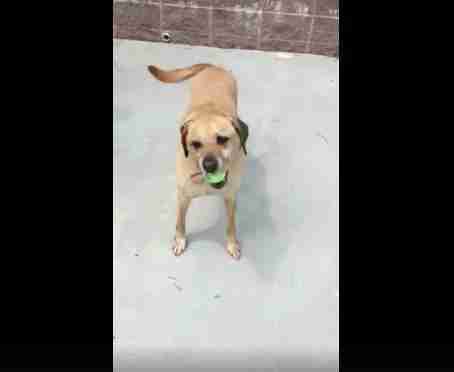 His former owner just wanted to find a new home for him, and thanks to the shelter who took him in and social media who fell in love with him, Cletus no longer has to worry about being homeless.